Rome was the third most-visited city in the world in 2017, with 20 million visitors. A popular tourist destination, the city is a vibrant mélange of historical ruins and modern architecture. With Eat, Pray, Love having added to the general quaint charm of Rome, walking the cobbled streets and soaking in la dolce vita (the sweet life) is one of the best experiences to have in the city. Rome has an immensely rich cultural heritage, which makes it one of Europe’s most stunning cities to visit. Its contemporary fashion offerings and modern nightlife, coupled with its historic legacy make it attractive for travellers of all ages and interest groups. If you’re a nature lover, Rome’s beautiful gardens and the nature are a treat for the eyes. Loved Gladiator? You can act the part by enrolling in Gladiator school. Love the food? Rome’s multitude of Italian cooking classes offer a chance to interact with the locals and make some lasting memories. Are you a movie buff? Recreate Roman Holiday on a vespa at night. And if you’ve got the stomach for it, visit the Roman catacombs and see 4,000 bones of Capuchin monks. Indeed, Rome has an experience for every traveller, making it a truly global city. A rich history, cobble stoned paths, stunning architecture, centuries-old palaces – Rome has it all. One of Europe’s most historical cities, Rome balances its past with its present, as the historic ruins stand in the heart of this sprawling contemporary city. Its strong cultural offerings make it a must-visit destination! The ancient ruins will take you back in time. Home to the Pope, you can also visit the center of Catholicism at the Vatican and marvel at the grand architecture. No trip to Rome is complete without admiring the treasure trove of art in the museums across the city. Rome’s modern orchestra building and the variety of philharmonic performances are a must watch. And, of course, you can learn all about the mighty Roman Empire which once controlled most of southern Europe and northern Africa. The Romans really know how to party and have a good time - the rising number of nightclubs is a testament to that fact. If you’re not into clubbing, many of Rome’s trendy bars serve aperitivo, or the Italian version of Happy Hour, for you to relax and unwind. The rise in upscale restaurants that serve food from all around the world points to the changing tastes of the Romans, and its rise as a global city. Speaking of food, Rome’s strong and distinctive style of cooking sets it apart from the rest of Italian cuisine. The Romans liked to push boundaries when it came to their food, and it shows in their bold use of ingredients. Rome’s pizza al taglio, or pizza by the slice, their suppli (fried rice ball with mozzarella), and the spaghetti carbonara are some must-try delicacies. And if you’ve got a sweet tooth, Roman croissants and breads, especially the crostata ricotta and torta ricotta with cherries, are absolutely scrumptious. Rome is situated in southern Europe, meaning that it has a milder climate than the northern parts of Europe. The city has a pleasant spring season, with light showers. Spring is also the season for blooming flowers, such as the azalea flowers on the Spanish Steps. Don’t miss the rose garden and orange blossoms at the foot of Aventine Hills. Spring also welcomes festivals such as Rome’s Birthday on April 21st and Easter. The cool temperatures last until mid-May. Summers can get hot and sunny, with temperatures going up to 37°C on very hot days, making them uncomfortable to travel in. Rome is magical in autumn, between September and November. It is the perfect weather to take long walks and marvel about the spectacular autumn colors on the trees. Enjoy freshly harvested olives and grapes, or indulge in some porcini mushrooms and truffle. Autumn signals the start of the opera season, so you can also catch some good shows. Rome’s winters are wet because of rains and the wind and can set awry most well laid travel plans. For those not used to the temperatures, Europe can be cold and uninviting. Winter in Rome can get cold, but temperatures rarely fall below 4°C in January. Rome, like all other tourist cities, can get expensive, given that there is a variety of options. Here are our top five hacks to save money, so that you can enjoy Rome even on a tight budget. The Roma Pass is an all-inclusive city pass available for 48 hour or 72 hour durations. The 48 hour pass includes free entry to one attraction per pass (out of 50) and the 72 hour pass includes free entry to two attractions per pass. The pass knocks off €2 from the entry fee to other attractions, and includes unlimited metro, bus, and tram travel. 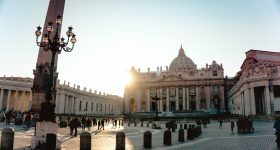 The OMNIA pass has all the benefits of a Roma Pass, and in addition, includes entry to the Vatican Museums, St Peter’s Basilica, and a Hop on Hop off Tour of Rome. This pass can be purchased for €108. 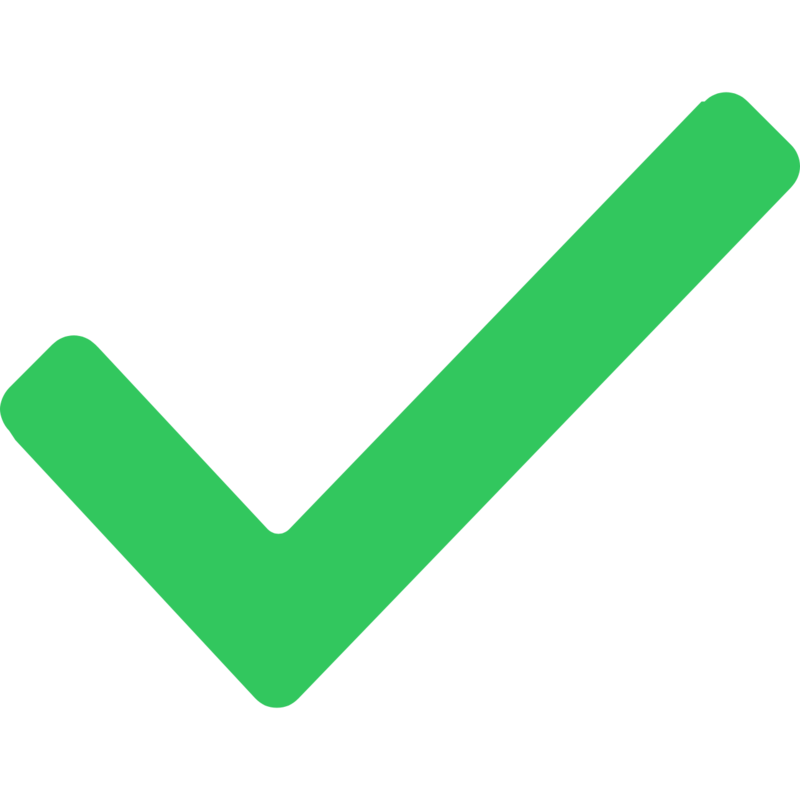 The best way to enjoy these passes is to visit maximum attractions in a set time frame of your choosing, and visit the most expensive destinations for free. Rome’s ATAC bus and metro service costs €1.50 flat per trip. The tickets are valid for 100 minutes from when they are stamped. If you have more than five journeys to undertake in a day, you are better off getting the 24 hour pass at €7 per day. If you’re in the city for longer, the 48 hour pass costs €12.50, the 3 day pass costs €18, and a week’s pass costs €24. These tickets are sold at newspaper stands and metro stations. Look out for the bright blue T signs, which show the counter selling tickets. You can also download the ProBus app for information on nearest bus and metro stations. One of the peculiarities of Italian culture is enjoying a drink before dinner. The Italians believe this helps them get warmed up. Most places offer light snacks with drinks, but some bars offer a full-fledged buffet, where it is perfectly acceptable to refill your plate several times. Aperitivo mostly runs between 7 PM to 9 PM. Most places offer pizza, canapés, cheese, salad, and desserts. The top spots in Rome for Aperitivo are Freni e Frizione, Momart Café, and Rec23. • Toss a coin at Trevi Fountain. Legend says you will return to Rome if you flip one. 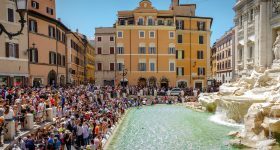 • Head over to the Spanish Steps. Relaxing at the steps is free. • Marvel at the Pantheon, one of Rome’s most well preserved monuments. 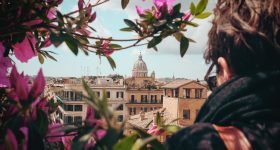 • Discover Rome on foot. Most spots are well connected and are perfect for a relaxed amble. • Enjoy free concerts between June and September. Check out Estate Romana, a citywide programme of open air concerts, cinema, dance and theatre. There are “free days” in a month, where a host of Roman museums and sights are free to visit. Most state-owned museums like Borghese Gallery and the Colosseum are free on the first Sunday of the month. The Vatican Museums are free on the last Sunday of every month. However, you will have to beware of long queues. Rome gets very crowded during the peak season, which is mid-June to September. Expect heavy tourist crowd and long queues during this time. April to mid-June and September through October are shoulder seasons, which see lesser tourists. November through March, the Roman winter, is off-season. Travelling during shoulder and off-season will guarantee cheaper airfare and discounts at hotels. Rome is a very popular city and there is no shortage of accommodation options. There is a range for every traveller. 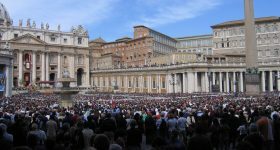 The lowest starts from €20 and goes up to €5,500 for an apartment in the Vatican. Waldorf Astoria, one of the top luxury chains has rooms for around €1,000. Rome has a variety of hotels, from budget to luxury. Hotels in the downtown area get expensive but provide convenience, since most tourist attractions are close by. Apartments are a very popular alternative to hotels, especially on popular websites such as Airbnb. For the budget traveller, there are a host of hostels. Most of the hostels are clean and well managed. If you’re looking for privacy, most hostels also have private rooms. Hotels on the eastern and southern side of the railway station are usually cheaper. These hotels are further away from the downtown area but offer some great deals. Italy comes under the Eurozone, and hence requires the Schengen visa for tourists. If you’re travelling to other Eurozone countries, one Schengen visa will allow you to travel in Italy as well. Residents of the US are allowed to enter Italy for up to 90 days without a visa. Travel insurance is a must while travelling to Italy. It is also recommended to purchase your air tickets and hotel reservations before applying for the visa. 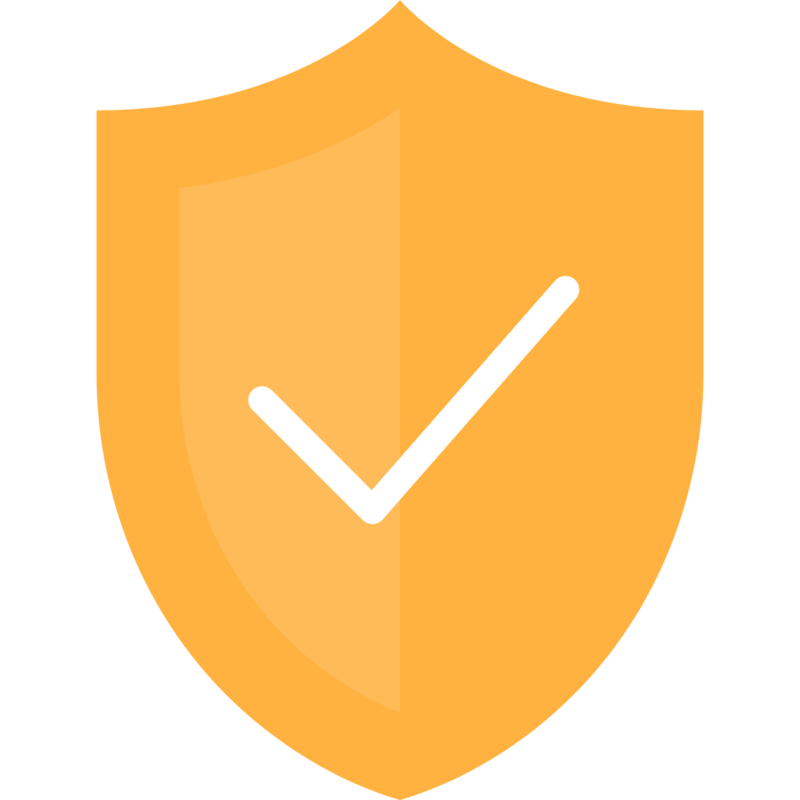 If you are entering Italy from another Schengen country, be prepared to have a passport that is valid for at least 3 months beyond the period of stay. Rome can be explored by car, however, local traffic is almost unmanageable for tourists. It is better to travel in a bus or by the metro. Taxis are the most expensive way to get around Rome. Most taxis can be picked up at taxi stands. A fixed charge of €1 will be charged per bag that is handled by the driver. It is recommended to use the map while travelling in the taxi to ensure you’re on the right road. Most of the popular tourist areas in Rome are easily navigable by road. It is however, advisable to be cautious while crossing. Even though traffic may be intimidating, most cars allow people to cross the road. The most popular forms of public transport are buses, metros, and trams. Tickets for these have to be purchased before alighting the form of transport. Tickets are sold either for every journey or there are passes for a particular period of time, like for example, there are 24 hour, 48 hour and 72 hour passes. There is also a weekly ticket. Buses are the best form of travelling in the city. There are 3 tram lines operating in the city. The metro is the most reliable form of transport. It is usually on time, but is crowded during rush hour. Credit cards are frequently used in Rome for payment. There are several ATMs in the city, which can be used for withdrawing money. Beware of an ATM that may look tampered. Take care to inquire about service fees and the exchange rates before changing money so that you are not charged an unreasonable price.. Tipping is not expected in Rome. Most restaurants include service charge or tips which directly goes to the staff. However, it is standard to add an extra euro or two in case of good service. Check your bill carefully for these two charges - coperto and servizio. Coperto is always illegal in the Lazio area and servizio is illegal unless it has been mentioned in the menu. • Romans regularly interact with foreigners and are generally polite and friendly. One common term to use is mi scusi or simply scusi, which means sorry, if you want to approach anyone. • It is customary to vacate your seat in public transport for the elderly. Most of Rome is a Catholic population. Most of the older generation speaks Italian. The younger generation also speaks English. Rome is a popular city and there is a lot of information to help tourists if need be. Spanish, French and Portuguese are also understood, however, locals do not take kindly to be addressed in Spanish instead of Italian. • In a restaurant, you will be charged for bread, so wave it off if you do not want it. It is prudent to check the bill for items ordered and charges. Most restaurants do not serve free water. It is charged separately. • It is also not customary to order coffee after 11 AM. Italians order coffee to finish off the meal, and very rarely order it during the day. Espresso is usually ordered after meals and not a cappuccino, which the locals consider a heavy drink. Locals also do not order antipasti, primi, secondi, insalata, and dolce. You can simply order whatever you like from the menu in whatever order.